Clean lines and functionality describe this home office group. 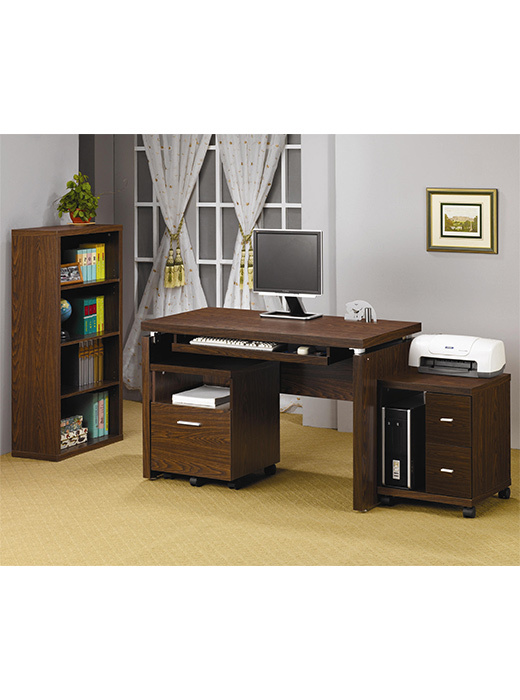 The top desk features a keyboard tray and plenty of room for an optional matching computer stand with 2 drawers or a bookcase stand. This item includes the desk only. File drawer, printer stand, and book case sold seperately. Clean lines and functionality describe this home office group. 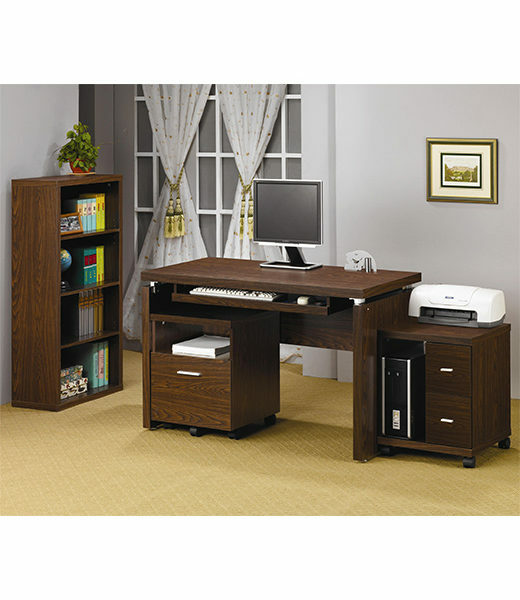 The top desk features a keyboard tray and plenty of room for a matching computer stand with 2 drawers or a bookcase stand. Wood & Finish	Visible wood grain bathed in a dark black or medium brown finish. Finish & Paint Options	Available in an inky black or medium brown finish. Handles & Hardware	Simple metal accent hardware. Case Detail	Casters add enhanced mobility to select pieces. Drawer / Shelf Construction	Desks feature a built-in keyboard tray. Description: Top	Smooth unadorned tops provide ample workspace.